Apple’s default email app does not allow users to add more than one email account and this could be a problem for people who have multiple email accounts for different purposes. Following are some 3rd party email apps that can resolve this issue. Gmail is the official Gmail app from Google that you can use to add multiple Gmail account on your device. Unfortunately you cannot use email accounts from other provides like Microsoft and Yahoo. 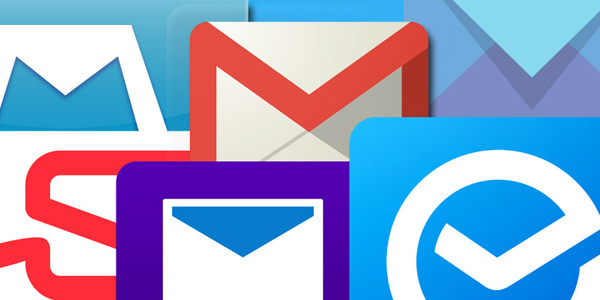 Gmail is available for free and considered the most popular email client app in the world. Dropbox bought Mailbox few years ago and this particular app is specifically designed to sort and prioritize emails based on their senders. Mailbox offers gesture control and you can do almost every action using gestures. This app is also available for free on iTunes. Inbox by Gmail, as the name suggests is also by Google and this app is specifically designed to handle multiple accounts at the same time. Some of the best features of Inbox by Gmail are search, highlights and reminders. Interestingly, Inbox by Gmail is also available for free on iTunes. Boxer is a paid email app that is mainly popular because of its support for all major email providers, cloud integration and amazingly designed gesture to control different features and actions. It supports Gmail, Yahoo, iCloud, AOL and many others. Dispatch is also a paid email app that comes with pretty standard features almost every other email app offers. However, the thing that makes it unique and better than most is its quick replying snippets. You can save as many snippets as you want and send them when someone asks a frequently asked question.